In this world of technology where everyone is surrounded with phones, laptops and other electronic devices 24/7 people do not have enough time to take care of their own health, let alone their vehicles. With everything available online in this era even auto-parts are easily available in just a few clicks away. Even the delivery of these auto parts are easy as the store owners have contract with companies like FedEx which are responsible for delivering the product at the right time . But how to check for the auto-part being authentic?? How to make sure that you are buying the right point online and the part is actually for your vehicle. Let’s go through some basic steps and safety precautions to take before buying auto-parts online. This is a very common thing to know but a very general problem for many people buying out auto-parts. As most of them do not go into the details of knowing their auto-parts, they end up buying wrong ones which results in waste of both money and time. Knowing what you need brings down your wide and uncategorized search to a very narrow field. You should also know what type of part you want to buy as you can easily get both OEM (original equipment manufacturer) parts and aftermarket auto parts. 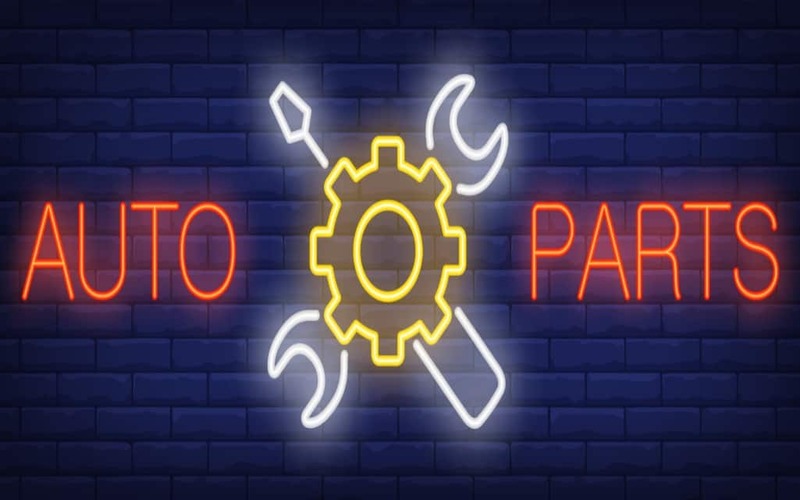 If you are looking for used parts then aftermarket auto parts is the way to go else for new parts one should choose the OEM parts from original manufacturers. After you recognize what you want to buy, the next main question is where to buy the auto-part from. There are two major sites for auto-parts – eBay and craigslist. While both of these websites have really good variety of options, one should keep in mind that these sites are not only automotive focused but rather are there for general purposes. Thus it is preferred that one should look for websites which provide automotive products as they provide better replacement and money back policies. Check out buycarparts.co.uk for buying auto parts for your vehicles! This point is heavily related to the previous one. While choosing a website to buy auto-parts one should also look for the reputation of the website and if the payment gateway is secure or not. While you may choose a site which specializes in auto-parts it may turn out to be a shady website which might lead to a huge loss of money for the buyers. As the reach of the internet has become wider, internet scams too, have become really common. Your work does not end after choosing a good website. You also need to make sure that the payment method that you are going to use is secure and if you are comfortable with it. In this scenario online wallets or e-wallets provide a safe and secure solution as they let the user transfer money into these wallets which can be used to do the purchases. Some common examples of these e-wallets would be Paytm and PayPal. These online wallets are made to be really safe by using new and powerful encryption techniques which protect the transaction from being lost and thus making it easier for the users to complete payments. Using money order or giving out bank information is never a good idea as it may result in heavy losses. The next thing while buying auto-parts or any product online is if the website or the retailer provides a “track your product” option with the delivery. With the delivery of products happening from across the states and even across countries in some cases, one should keep in mind the cost of delivery and how far the location is. Track your product option enables the user to keep an eye on the product and track its whereabouts. While buying an auto-part online always keep in mind the distance from which the part may arrive and if the delivery charges are included in the final bill or not. Buying auto-parts online is easy and comfortable and is a lot better than you yourself going into junkyards and looking for a particular part but at the same time it is equally risky. Remember to always trust your guts while shopping online. If the deal looks too good to be true, then definitely it’s a fraud. As scammers are always looking for buyers that are easy to be scammed upon and are new to online shopping? Do not click on emails giving ridiculous deals. These probably are fake. As with any other online shopping for products keep in mind the safety measures. Do not share your personal or bank details with untrusted site and do not forget to check for a review of a website before making any purchases with them. So be Car-eful online and happy shopping!! !